Click 'read more' to view and download this newsletter. You can do your bit to help by printing this out and distributing amongst colleagues. Download and read the latest edition of RMT Upfront below, and distribute it in your depot. Download the latest issue of RMT up front the newsletter for drivers on London Underground. This issue highlights LU's threats to our job, our culture of safety and our ability to provide a public service for London. 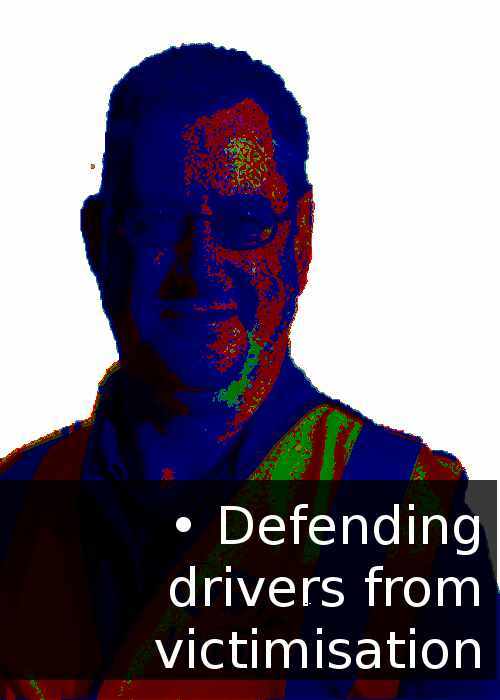 London’s underground is under attack Drivers: vote YES to defend the job! Most Londoners are shocked at the severity of LUL's proposed cuts. So much for Boris’ Johnson’s promises (when seeking election) to keep ticket offices open! The proposed arrangements for Boxing Day payments negotiated between London Underground and ASLEF behind closed doors fall short of RMT’s aspirations. Following a meeting with all RMT drivers’ reps, the union has written to LU demanding further talks to improve the deal. Attached is the latest edition of RMT Up front. This edition focuses on the Ballot for action short of strike action on the Jubillee Line. 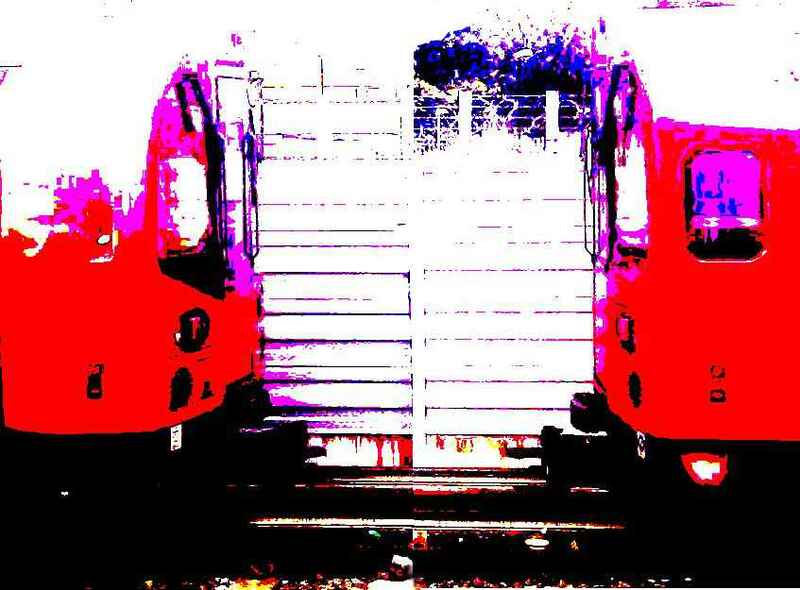 There are also reports on the Bakerloo detrainment dispute and issues for drivers on the new S Stock. Last year Management informed safety reps on the Jubilee Line that there were problems in the tunnel between Baker St and Bond Street Stations on the south bound road caused by water ingress which would entail a job major of work. The RMT's planned Industrial action that was due to take place on Thursday 10th January 2013 has now been revised, so action can be co-ordinated with ASLEF on the Bakerloo Line. A joint notice with ASLEF has been produced and can be downloaded (see the attachment). 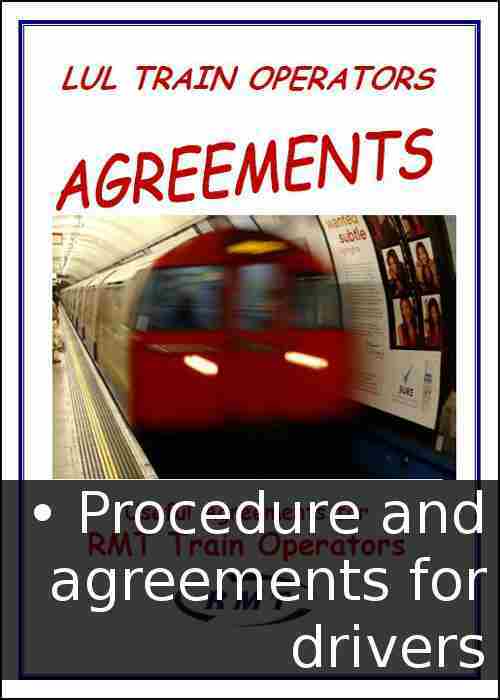 Attached is an editable poster highlighting links to LU train operator agreements. branches may wish to edit the top right corner in particular and put your own contact details in. 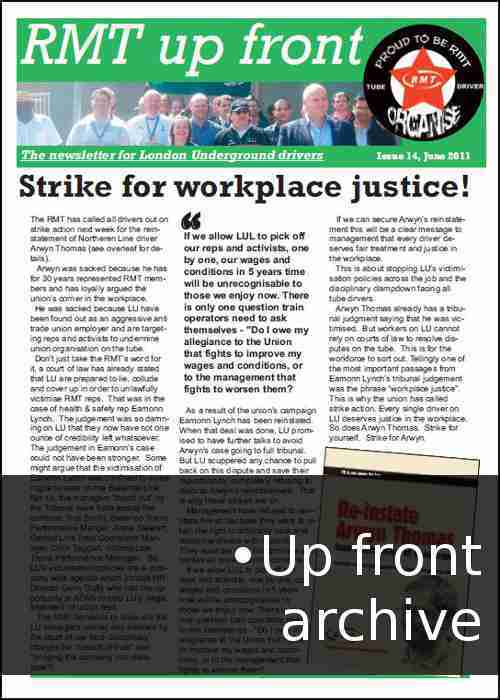 Click on the attachment to see the latest issue of RMT Up front, the newsletter for RMT drivers on London Underground. 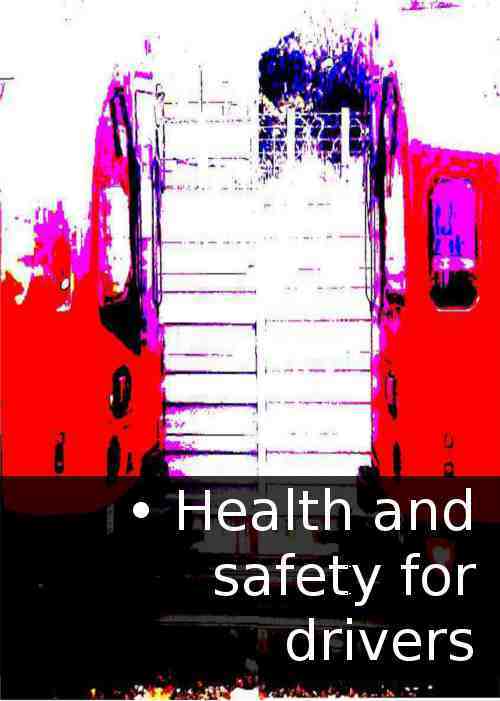 This issue leads on LU's proposals for driverless trains and the union's ballot for action of our test train operators, a report on TBTC working on the Northern Line, and a report on live safety issues from the Trains Health & Safety Council.